Visit Constitution Hill and Union Buildings for their historical value. Do some cultural sightseeing at Apartheid Museum and South African National Museum of Military History. Step out of Johannesburg to go to Soweto and see Credo Mutwa Cultural Village, which is approximately 30 minutes away. There's lots more to do: steep yourself in history at Mandela House, take a stroll through Maboneng Precinct, and see the interesting displays at Lindfield Victorian House Museum. For photos, traveler tips, and tourist information, read Johannesburg online itinerary creator. Singapore, Singapore to Johannesburg is an approximately 14.5-hour flight. The time zone difference when traveling from Singapore to Johannesburg is minus 6 hours. Traveling from Singapore in July, things will get cooler in Johannesburg: highs are around 22°C and lows about 4°C. Finish your sightseeing early on the 21st (Fri) to allow enough time to travel to Nelspruit. On the 21st (Fri), look for all kinds of wild species at Jane Goodall Chimpanzee Eden Sanctuary and then admire the natural beauty at Lowveld National Botanical Garden. 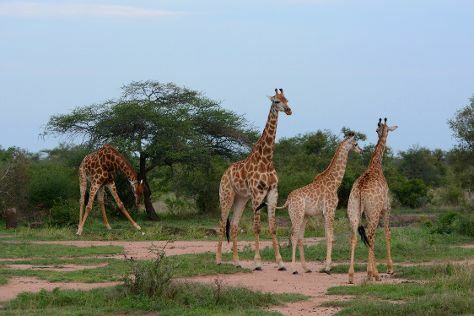 Keep things going the next day: explore the wealth of natural beauty at Kruger National Park. To find reviews, other places to visit, maps, and tourist information, you can read our Nelspruit sightseeing planner. Traveling by combination of train and flight from Johannesburg to Nelspruit takes 3 hours. Alternatively, you can drive; or take a bus. Traveling from Johannesburg in July, Nelspruit is a bit warmer at night with lows of 11°C. Wrap up your sightseeing on the 23rd (Sun) to allow time to travel to Cape Town. Robben Island and Groot Constantia are good opportunities to explore the local culture. Visiting Table Mountain and Boulders Beach will get you outdoors. Go for a jaunt from Cape Town to Table Mountain National Park to see Cape of Good Hope about 1h 20 min away. There's lots more to do: admire the natural beauty at Kirstenbosch National Botanical Garden, examine the collection at District Six Museum, learn about winemaking at Constantia Uitsig Wine Estate, and go for a stroll along the water at Victoria & Alfred Waterfront. For reviews, where to stay, ratings, and other tourist information, go to the Cape Town itinerary planner. Traveling by flight from Nelspruit to Cape Town takes 4.5 hours. Alternatively, you can drive; or take a bus. Expect a bit cooler weather when traveling from Nelspruit in July: highs in Cape Town hover around 20°C, while lows dip to 8°C. Wrap up your sightseeing on the 27th (Thu) to allow time to travel back home.